Our REALTORS® are our customers, we believe in working with you to succeed in this ever changing career Profession. We welcome new and experienced REALTORS®. We have in-house training and monthly meetings. Keep on track, our managing broker Donna Fuller has 30 years experience in the real estate industry - you know your questions will always be answered and be guided by her professional experience! Affordable Fees + a National Franchise Brand name that opens doors! 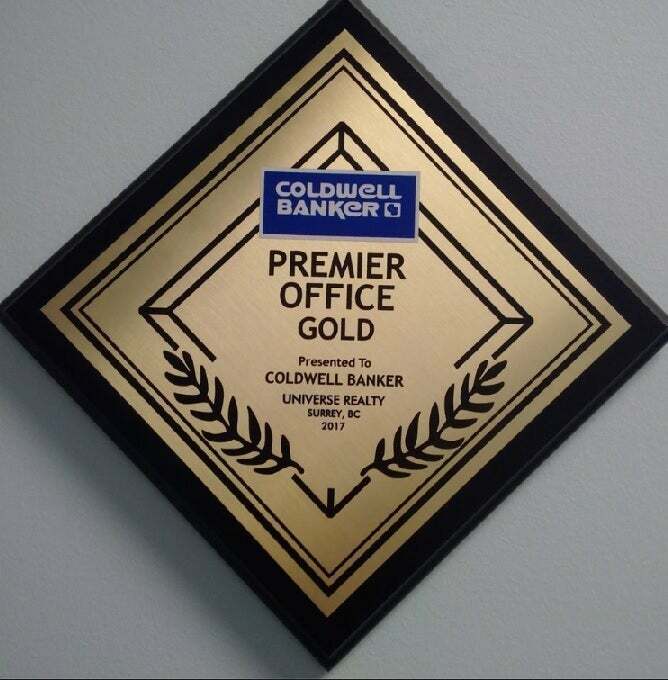 We are the largest Coldwell Banker in BC & Western Canada! Centrally located in Surrey and Members of the Real Estate Board of Greater Vancouver but you can work from anywhere in the lower mainland! Call today and find out how you too can join our award winning office of Top Producing REALTORS® and get your career started on the right foot! Call: 604-584-1444 and ask to speak to our managing broker Donna Fuller.